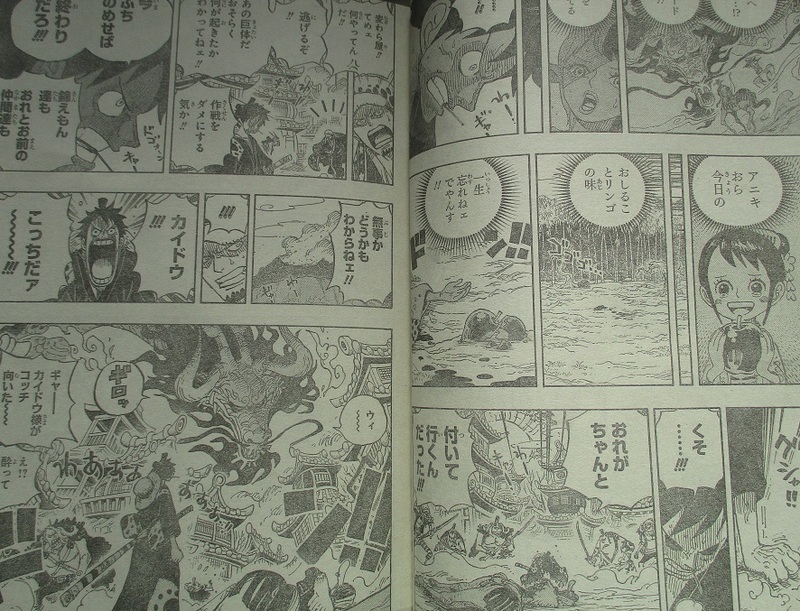 Everyone runs after Luffy punches Kaido. Luffy hears that O-tama wasn't able to be protected by Speed, who is covered with wounds. He feels responsible for this and fights Kaido. 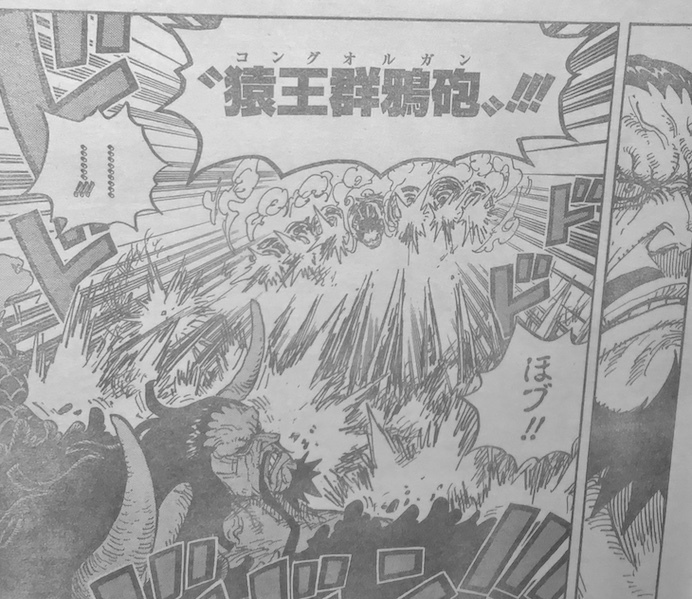 Even though he transitions into Gear 4th from his previous flurry of blows, it is completely ineffective, and Kaido easily puts Luffy down with a single strike. 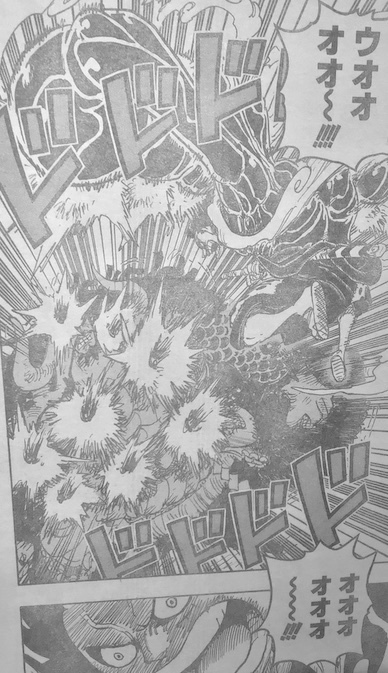 Chapter 923 Yonko Kaido VS Luffy.